I enjoy watching and reading mystery and detective inspired movies, tv series and novels. It is really good to exercise your brain cells while watching these shows and it makes that feeling that you are also clever and smart like the protagonists who solves the crime. The popularity of Detective and Crime related literature had grown and expand through the years with the evidence of growing emergence of new Crime Solving Movies and Tv series. But before these shows came to existence, Scottish writer Sir Arthur Conan Doyle already created the most famous detective on Literary fiction. Starring on 4 novels, 56 short stories and several movies and adaptations, Sherlock Holmes is indeed one of the Pioneer and Influence of modern forensic and criminal science. And to honor that title Warner Bros. and Village Roadshaw agreed to create a movie based on this great detective's exploits starring the Iron Man star Robert Downey Jr. on the title role. 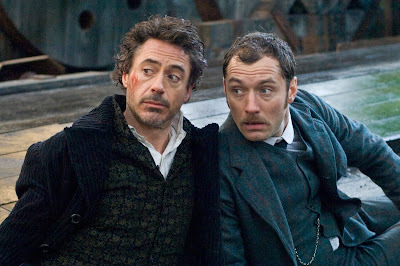 In a dynamic new portrayal of Arthur Conan Doyle’s most famous characters, “Sherlock Holmes” sends Holmes (Downey Jr.) and his stalwart partner Watson (Law) on their latest challenge. Revealing fighting skills as lethal as his legendary intellect, Holmes will battle to bring down a new nemesis and unravel a deadly plot that could destroy all of England. 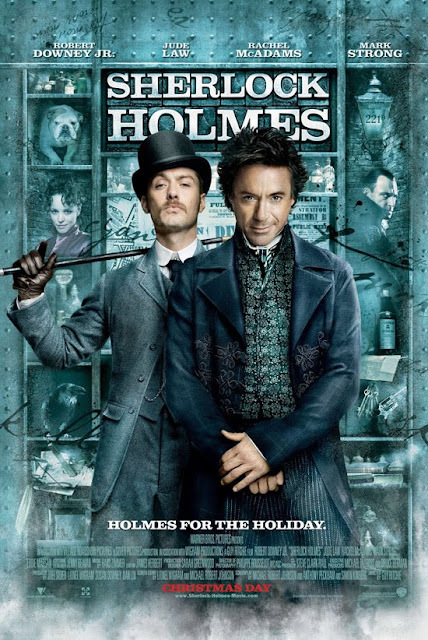 Robert Downey Jr. brings the legendary detective Sherlock Holmes to life as he has never been portrayed before. Jude Law stars as Watson, a doctor and war veteran who is Holmes’ trusted colleague. Rachel McAdams stars as Irene Adler, the only woman ever to have bested Holmes and who has maintained a tempestuous relationship with the detective. Mark Strong stars as their mysterious new adversary, Blackwood. Kelly Reilly plays Watson’s love interest, Mary. The movie is much better than what I thought. Guy Ritchie applied a modern touch to the classic tale but still retains the whole Sherlock Holmes universe. They also paid a lot of good attention on details, from the costumes, script, character design, names of places and a lot more. I also like the story where they pitted two opposing concepts like Sherlock's Rational reasoning and Blackwood's Mystical Wizardry. 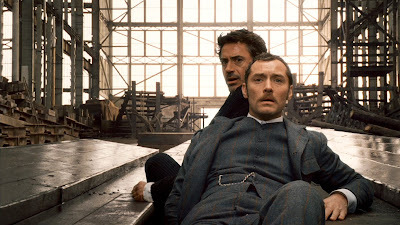 Before, I really thought Downey and Law should switch roles because Jude Law looks very Sherlock to me but when I saw the film, Robert Downey Jr. did a very good job on playing the legendary Detective. Robert Downey Jr. is indeed good on playing brilliant minded characters like what he does as Tony Stark in Iron Man franchise and now with Sherlock Holmes. On the other hand Jude Law is an effective partner which completes Sherlock himself. Sherlock Holmes is a very decent movie to watch. Has a tight script and very interesting concept. Watch it with caution and be ready for small details. Opening this Friday, January 8. “Sherlock Holmes” is distributed by Warner Bros. Pictures, a Warner Bros. Entertainment Company.